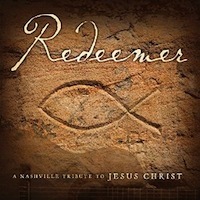 ← What do the Cowboy Junkies have to do with David Archuleta? 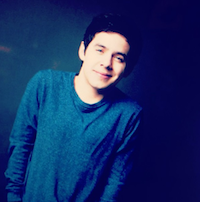 Other Side of Down: Where does David Archuleta go from here? Count me in the camp that says good riddance to Jive! Actually I think everything is going according to plan and I would be far more concerned if the “big news” was that David Archuleta compromised his principles in order to increase profits for the label and manager. That press conference during his Asia trip gave us a glimpse of the challenges David faced during his tenure with Jive, and for him to talk about the challenges to that extent tells me that there was likely a lot more going on behind the scenes. The music industry is fascinating. I think that when industries are in such flux it is innovating thinking that leads the way. Hopefully David has advisors who are innovative thinkers. I found the article below by Jeff Price. He has a worked for a number of years in the music industry. Granted he does have a bias towards independent music since he owns a company catering to the artist. Nonetheless I think he makes some great points. He writes the article from the perspective of an independent or alternative band but the concepts are easily translatable to individual artists. Sometime in the 1990s, “artist development” for rock and alternative bands, got turned on its head. Gone were the days of a major label aspiring to propel an artist over many years to “rock legend” with multiple releases, tour dates, interviews and in-store appearances (Led Zep, Rolling Stones, Springsteen, The Byrds etc). Instead, new artists were given six weeks from the street date of their debut album to have a radio/MTV hit. Instead, the world boiled down to revenues earned over the last 90 days. Shareholders demanded quick growth, the value of a company lived and died by what was reported and booked every quarter of the year. If the company invested $1 million into a band in January, it cared only about how quickly it could see its money back and how much profit would be made. This get-rich-quick strategy helped destroy the value of labels and the careers (and potential careers) of thousands of artists. Before the record label consolidation, an artist would get signed, an album would get recorded, the release would get set up and distributed. The artist would tour as the label promoted the artist/album building up the fan base and credibility. The band would gain experience playing live, learn things in the studio and grow as musicians. About a year later, the next album would be released, this time to some anticipation by the existing fans, and the same cycle as with the first album would repeat – building, playing, learning, touring, gaining new fans – until the next album came out. It was the artist’s later album, built on years of learning and credibility, that would go multi-platinum providing the final piece of the puzzle in defining them as a “legend.” Once at that status, an abundance of opportunities and wealth would arrive for many years to come via gigs, merchandise sales, advances and band and publishing royalties. The label would experience a huge spike in back catalog sales from new fans discovering and buying old albums selling as many copies of a catalog album in a single week as they did over the previous year. There were no label marketing costs directly tied to these catalog sales thereby generating huge amounts of high margin money for their bottom line. Or said another way, the value of a major label like EMI (or make that Citigroup due to its recent acquisition) is not from one new Beatles’ album, it’s from the entire Beatles’ catalog. These older albums sell and sell and sell yielding huge financial returns that dwarf income made off of just one hit album. In the old music industry, the true monetary value for the record label and artist was in the catalog of created and released works – each song, album, EP selling a little (or a lot) each day, week and year creating a large and steady recurring and predictable stream of income (“recurring and predictable income” is the holy grail for financial institutions). The shift to a new strategy of just six weeks to “have a hit or you’re dead” flew not only in the face of artist development but also in the face of long term financial gain while radically changing the way the game was played. A quick financial return strategy in the music industry could only be accomplished in one way, a mass-consumable commercial radio/video hit single. Bands began to be signed not for their current and future value, but for just the one hit they may have written. All label bets were placed on the one single as it was sent to radio and MTV with hopes of airplay, reaction and consumer sales. Radio and MTV gained massive power being the only outlets to allow this quick explosive growth, and the labels were willing to pay them whatever it took to gain the media exposure. The music world went topsy turvy – debut albums became an artist’s best selling album with subsequent releases selling far less (Spin Doctors, BloodHound Gang, Alanis Morissette, Hootie & The Blowfish, Third Eye Blind, Better Than Ezra, Marcy Playground etc etc etc). Gone were the days of development, catalog and box sets; in their place came the world of “one hit wonders” whose value dissipated as quickly as it arrived. This is not to suggest that these bands or songs were good or bad, nor is this to suggest that the phenomenon of “one hit wonders” was not happening through the entire history of the music industry. What was different was the lack of bands being nurtured, supported and given time to grow and develop at the world’s largest labels. Lawyers, calculators and quarterly profit and loss statements replaced the ears and creative passion of music executives like Seymour Stein, Ahmet Ertegun, Lenny Waronker and Mo Ostin. Bloated artist contracts were an additional side effect of this new get rich quick strategy – understandably, artists, lawyers and managers were demanding larger and larger advances on future albums as a major label would only exercise the option due to the previous album being a financial hit. Percentages of these large advances went into the pockets of the managers and, in some cases, the lawyers, incentivizing them to take the money and run. Marketing spends went through the roof as the labels tried to hit grand slam home runs. Albums selling a few hundred thousand copies that were previously seen as a success were now redefined as failures. As more than 98% of the bands signed were not hits, the labels could not justify nor afford the huge advances previously negotiated and the bands were dropped, their careers stunted and ended before they even really began. As this new shortsighted strategy progressed for over a decade, the labels woke one day and realized what they had done – for the past 15 years they neglected to build up a valuable catalog of work that people would continue to buy over a long period of time. The older “legacy” catalog of Pink Floyd still sold, but there was nothing taking its place, nothing being incrementally added – even rock legends die, taking their chest of musical riches with them to grave. This left only one option, buy even more into the new vicious cycle, do even less artist development, spend more money on marketing, invest more in videos, up advances, swing like mighty Casey at bat for that elusive home run and hope to god something hit. Had there been more patience, less greed, less focus on next month’s bottom line the magnificence of the industry could have been perpetuated through its creativity. Not only would these media companies have been reaping far greater financial rewards, but the artists and the music fans most likely would have had a different view of the entire industry. The good news is the cycle has been broken, artists no longer singularly need a label to have a career; there is now a choice. The lessons of the past combined with the technology and opportunity of today can quite possibly create a return to the true cultural and long-term financial value of music. Through new media outlets and social networking, bands and fans can connect in more personal and meaningful ways. Fans are now able to more directly and meaningfully support their favorite musicians over the long term enabling the artist to create a significant body of work through their lifetime. The control of a band’s career has shifted from the label to the artist – be it the path of Vanilla Ice or Radiohead, the choice, success (or failure) is the artists to make. P.S. Where do you guys think David goes from here? 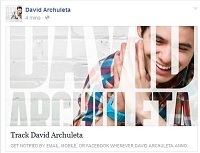 This entry was posted in Fan experience and tagged David Archuleta makes the sun squint.. Bookmark the permalink. 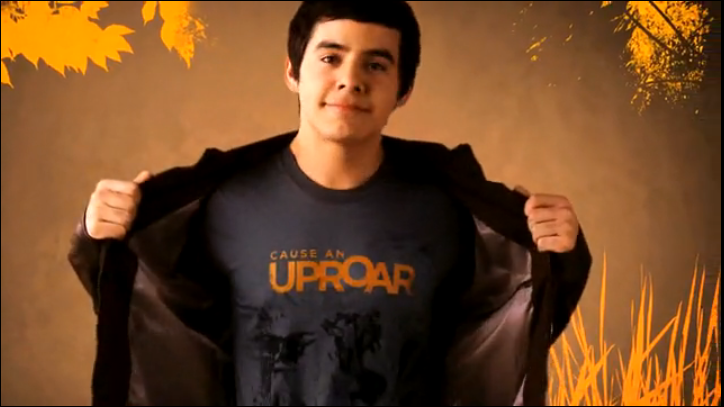 46 Responses to Other Side of Down: Where does David Archuleta go from here? there is just too much talent in that young, incredibly masterful artist with long term, off the charts potential for there not to be. It could be denial I guess, but I have no worries that this is about quitting. of the other cause nothin’s gonna break his stride. I too feel that he would have gone back to Utah after it all went down if he had plans other than continuing making great music. Instead, he brought little sis to LA to spend her B-Day with him there. If he was thinking of taking a leave, would he have done that? I don’t think so. David has not yet reached his full potential. We’ve only seen glimpses of what David is truly capable of. Like his performance with the MOTAB Choir for example. We know he can sing a n y t h i n g…it’s been said & he’s proven it over & over again. The experts in the field of music I’m sure, have seen and heard this musical genius as well and know as we do what a gem he is. David is aware of his rare gift and his responsibility to share that gift. I can’t imagine him wrapping his God-given gift & putting it on a shelf to be opened at a later time…like in two years! No! I sense a peacefulness in his tweets. I think he may have more than one or two labels pursuing him. He’s right in taking this weekend to have a good time with his sis before getting down to the business of settling down with a label & new manager. I feel David will not take this step & new opportunity to forge a new path lightly. I believe he didn’t have that choice when he was signed with Jive being that he was a minor at the time and with all the excitement, he just went along with it. He is his own man now. He may ask for advice from those he trusts who have his best interests at heart and no hidden agendas, but seems to me David ultimately does what he feels is right for him. I believe he is the kind of man, as young as he is, who will always take full responsibility for mistakes or mis-steps he may make and still be humble enough to give praise to others & to his God when things are going great which he always seems to do. I do think also, had TOSOD been a mega hit (with in my book, it is! ), Jive would be loving them their gem David and would be renegotiating a long term contract with him naturally. But I think David would still be saying Adios, Sayonara, Revoir, Ciao, Cherrio, So long, & bye-bye! to Jive. I think he was counting the weeks these last few months to be released from the ties that were binding & choking his artistic freedom from being expressed freely. Truth be told…I’m a little scared of what David will unleash on his public once he’s given complete free reign to do so which I hope his new label will have the vision & foresight to make happen…..YIKES! 9iDRNf That’s a mold-breaker. Great tiihnkng! “Count me in the camp that says good riddance to Jive! Actually I think everything is going according to plan and I would be far more concerned if the “big news” was that David Archuleta compromised his principles in order to increase profits for the label and manager.” HERE, HERE!, KT. I so agree. David needs to enlist in a music orientated business management course. His humble nature can only take him so far. If he’s passionate about his music he should learn the business side of the music industry. It is, after all a cut-throat industry and nothing lasts forever. You may be the ‘latest fashion on the cat walk’, and before you know it the next day you are ‘left hanging on the coat hanger of a charity shop’. If he feels that music is his first love and is worth continuing a career in it, then he must work hard and persevere with his song-writing. If not, then he should do what loads of ordinary Americans do for a living and get a Job! I think that once David contracts with a Label that could promote and guide him, he will be a great big star. With his great voice and good looks, and since he already has his feet in the entertainment world I’m sure it’s just a matter of time before he gets all the credit and acknowledgment he deserves!! I await David’s news. I’m not reading anything into anything. Facts are limited. For instance, the news was that he was “released” with no details could mean a mutual parting as one of several scenarios…yet, many are already down the path that David was “dropped.” Maybe he was. Don’t know the truth of it, do you? Just speculation at this point, right? My sense is from mid summer when SBL was released until he got WEG, lots of unusual things were happening (from the little that is public knowledge) and even thereafter as far as promotion. For instance, why wouldn’t Jive/19R have SBL premiere on z100 like Crush was? Seems to me whatever that cost was, it would have been a good investment in single sales and a good launch for TOSOD. And despite many panning TOSOD, it got better artistic reviews than David’s freshman album. So, for me something has been amiss business wise since SBL release or more probably some time before that. And if I were to speculate, I would say there was a struggle between David and Jive for artistic and production control of the sophomore album and probably some deals made and trade-offs. Or another scenario is that David fulfilled his 3 album commitment and decided to move on. The coincidence of him firing WEG at the same time he is “released” from Jive is probably the more intriguing event. That he could time his ability to exit WEG at the time his Jive contract was up for renewal/or exit is interesting timing. Great article, KT, really interesting to read about the evolvement (or “devolvement”) of the music industry and the role of sheer greed in the breakdown of artist nurturing & development. As usual, greed & shortsightedness will cost them $$$ in the long run, with the virtual elimination of significant music catalogues to build for the future. Kizzi, re possible scenarios, apparently at the time SBL was released, the CEO of Jive was leaving the label, and David’s A&R rep (Fenster) had announced he was also leaving, which would explain why David seemed to get a lot of support during the making of the album, but zero on its release. I also thought it was odd that the Fan Pack sold out, as if they underestimated how many would sell. Did those even count in the total album sales, I wonder? Anyway, selling 67,000 is a number a lot of indie bands dream of … especially impressive considering it received no publicity, advertising or promotion. I personally would love to see David return to Nashville (maybe collaborate and/or tour with Joy Williams & The Civil Wars?) and work with a label there … they seem more focused on making real music & less on hype. “The coincidence of him firing WEG at the same time he is “released” from Jive is probably the more intriguing event. That he could time his ability to exit WEG at the time his Jive contract was up for renewal/or exit is interesting timing”. That coincidence is what troubles me. He wouldn’t need either if he was thinking of doing the unthinkable. Right? I can’t wait until the release is officially announced & David tells us about the new opportunities he so excited about. Don’t mind telling you, the unexpected is killing me & not so softly! Yes, I agree that both occurred in the same time period is a powerful statement for change. A tidal wave of change. Waiting amidst all the speculation is tough. I think it is interesting to try to understand the business perspective. Kizzi, I couldn’t agree more that information is very limited and some of the conclusions that are being drawn are, shall we say, quite interesting. It was clear that there was some struggle on the album and David detailed as much in the one of the Asian interviews. Something to the effect of no “old people” in the video…no one wants to see “old people” and “research studies” say that you have to look serious on the cover to increase sales. “NO!” says David, I want to smile. We also know that David went to lengths to exclude inappropriate messages from any videos (the sharpie effect) which goes against “the norm” for today’s music environment. With WEG being signed by David just a couple days before the album release (per M. Bell), my guess is he was between a rock and a hard place and closed his eyes and picked. If he was pressured to make that decision then it seems reasonable the he would include an easy out clause. If David decides to continue with his music then he should take the time and get it right. There are a lot of options and he needs to understand them in order to choose wisely. For example a poster at FOD today, OKDAfan, provided the link below to a label that appears to be innovative. I think the most exciting thing about all this change is that David can “choose wisely.” There is a lot of speculation and angst in cyber land among fans. The biggest problem with only getting bits and pieces of info is that we, naturally, fill in the blanks with our own perceptions, wants and needs. There are so many scenarios being speculated upon that it brings home the deep level of commitment many fans here in cyber land have sustained over the last 3 years. I continue to be in awe of someone having their career/life play out on the national/world stage and the myriad levels of fortitude and wisdom that requires especially when the goal is to be authentic while being open to all speculation, the good, the bad and the ugly. Tall Order, that. With all the changes in the entertainment/recording industry, like you, I think the place and platform for David is awaiting him. Any of us with sustained careers in whatever industry had to work through where we belonged until we found the right match. We learned to swim in our little ponds with the big fish. David is swimming in a huge pond, with gigantic fish and it’s all in a fishbowl environment. The biggest thing, to me, is to know when to make the changes and to not burn bridges in the process and David doesn’t appear to be a bridge burner, lol, quite the opposite in fact. Relationships & networking is where it’s at. Melinda/WEG, however, with her tweets last week, definitely burned some bridges…David can make hay with that over time as her “faux pas” creates a dynamic of a “wrong” that has created a debt. At what level of seriousness her “wrong” is actually in the musician/manager relationship, I haven’t the expertise to measure. I have to say though her continued reference to him as the “kid” told me a lot about her relationship with him. conz / I already have a copy of TOSOD but still I’m lonokig forward to got a copy of the the additional tracks just asking if TOSOD asian edition is already available in the Philippines? For sure, Melinda proved herself to be a liability to David, but in her tendency to tweet unprofessionally (and be the opposite of David’s discretion), she made it clear that WEG was “fired” (hence her bitter tweets) and that David was not giving up music. Not that she’d be privy to his future plans once she was axed, but in her obvious sour grapes after their relationship was severed, she could have easily shifted blame to that scenario. In reading all the doom & gloom reports online, I am so disappointed that the general public views 67,000 in sales over 5 short months to be a failure. Considering David didn’t get to perform any of the TOSOD songs on any prime time TV shows (and barely got any radio play), that’s amazing to me. Am I crazy in thinking that? Not crazy at all. TOSOD did not get the same exposure as the first album. Something happened either pre-roll out or during. We will probably never know. Thank you KT for your post and reference to the two articles and thanks to ALL for your perspectives. Woooo! I would loove to see David get into acting! He’s mentioned before how fun he thinks it would be, that he’d like to take some acting classes. He definitely has the ability to lose himself in a song when he sings, does he not?!? Why couldn’t he lose himself in a character? I think he could and in spades!! We know the camera loves him, and that charm and charisma of his would be hard to hide. Imagine having entire movies with David in them sitting on your shelf just waiting to be watched again and again. How fun would that be? Be still, my heart! me too, ray & awestruck, he will be fine … I keep hearing the words from his tearful intro to “Be Still My Soul” in Rexburg run through my head, “I know I’m supposed to be doing music” (or close to that) … after all, he is music …. Very interesting article, blog and comments here today. (I’d gotten control of my procrastination habits for a while there, but the events of the past few days done did me in.) I try to read a lot into any sign that David, indeed, has options to continue music. I’d love to see his artistry supported and I wonder how he’ll trust a new manager. Heck, I’m beginning to wonder if music managers are necessarily a little slimy, and I know better than to generalize. I wouldn’t blame him for wanting to take a break to head in one of several directions, but I guess if I got to pick I’d want him to find true support and mentoring. ^^ That post of mine revealed how scattered my thoughts are. I don’t want to be selfish — if he wanted to break to go to school or on a mission, I’d want to be supportive. He’s the same guy I saw on Star Search several years ago, and the time gap was good to him. If he left for a while, I feel that he’d come back stronger. But I am thinking that since he hasn’t said anything yet, he’s considering music options. (Because why wait to reveal that kind of news.) So I guess my hope and prayer shall be that, this time around, he finds the kind of support he deserves. KathyH, I didn’t realize you’d seen David back on Star Search, gives you a cool perspective. Also a reminder of how far he’s come and how hard he’s work to get to this point. KT, thanks for your great article and the article on that link is really intriguing. Would not mind at all seeing David hook up with a label like that. Their philosophy sounds so intune with David and his ideas about music. I know Ray was just a tour manager, but I really miss him. There was not one nano-second where you questioned his loyalties. He genuinely cares for, understands and respects David, as a person and as an artist. Kizzi, love your comments, and this, “know when to make the changes and to not burn bridges in the process and David doesn’t appear to be a bridge burner, lol, quite the opposite in fact” … quite the opposite of his counterpart, who is twice his age. Just wanted to add… that fish bowl is not only filled with gigantic fish, but with man eating sharks. Nemo will survive and thrive. It was so beautiful to hear him talk about making music to connect with US and to unleash those songs he’s destined to write. Yes. And he decided to leave Jive. Bahahahaha. Psched alot of ppl out. Lol. What a classy guy. I’m doing a HAPPY Dance! So glad he spoke up and cleared the air. Can’t wait to hear what’s coming up! David is class. So looking forward to hearing what music comes out of him! Doing a happy dance! David WILL be a HUGE star! I have no doubt about this at all. Even if he decides to take a couple of years off and go to college, he still would only be about 24 years old and have a lot more life experience when he graduates. There is NO WAY David’s voice will not be heard all over the world – it may happen soon, or a little later. BTW, I love TOSD! There are a few songs on there that should have been hits: “Falling Stars,” and “My Kind of Perfect,” for example. 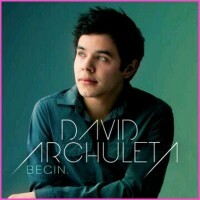 Whatever, whenever David releases a new CD, or comes to my town, (San Francisco), for a concert, I will be there!! He needs some high power Management company (and maybe a few dance lessons!). Not that I can see David doing the Justin Beiber type of perfomance, but just some dance classes that loosen him up and teach him some hot moves that he can throw in spontaneously on stage. The audience goes nuts when he makes any attempt at dancing at all. Oh, and did I say I Love this Kid??? Well I do!!! 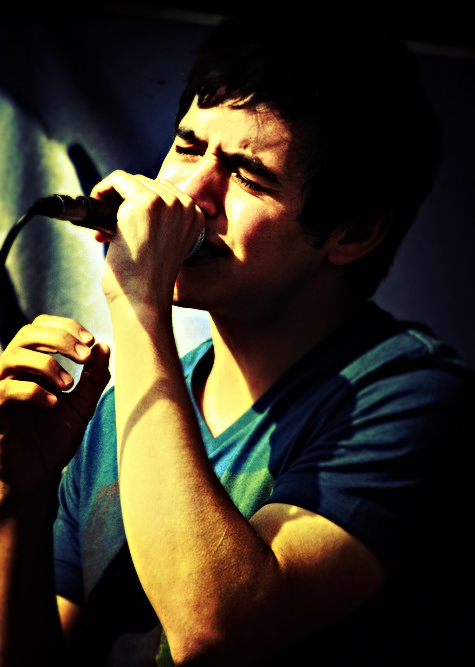 And I’d walk a thousand miles to hear and see him sing!